you may receive discount services. 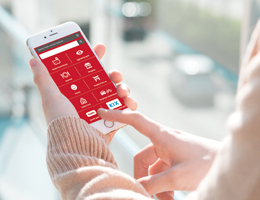 Check the KANSAI ONE PASS site with your smartphone for more details. Useful as an IC card type ticket for travel on JR, subways, private railways, and buses. One card for all major public transit lines in Kansai! 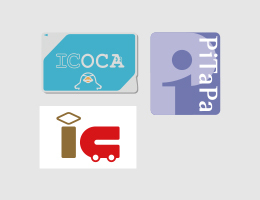 KANSAI ONE PASS cards are accepted on major trains and buses in the Kansai region including transportation facilities with ICOCA, PITaPa, and IC markings. *Not applicable for some transit lines. Just touch the card at the ticket gate and you’re ready to go! 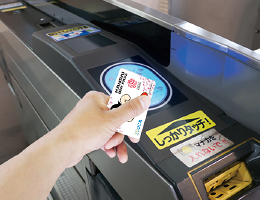 Touch the card to the reader on the rightside of the ticket gate for more than one second, then walk through. The fare is automatically calculated. No need to buy a ticket every time you get on the train. The card is rechargeable. 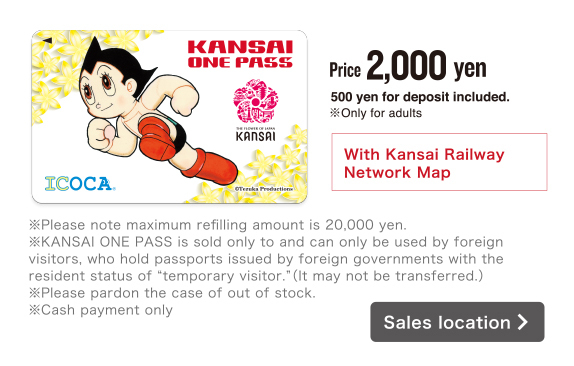 You can get on major trains and buses in the Kansai region with a KANSAI ONE PASS card. Making connections is also simple and easy. You can use it any time because there is no expiration date. Please use it again when you visit the Kansai region next time. *It is also refundable with handling fee. Discount services at many facilities and shops by presenting the card. Search by category, area, or nearest tour spots from your current location. You don’t have to bring guide books or maps with you. 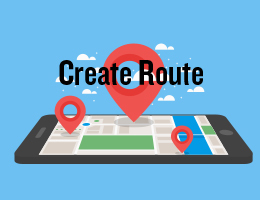 Sightseeing information and maps can be checked using only your smartphone. You can receive discount services at sightseeing spots by showing the card. At the participating facilities or shops, you can receive various benefits or services such as discounts. 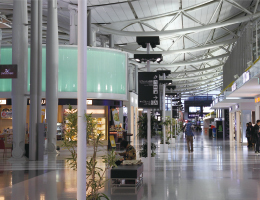 You may receive discounts or other services upon making a purchase by presenting the card at the duty free shops and other facilities within Kansai International Airport (KIX). 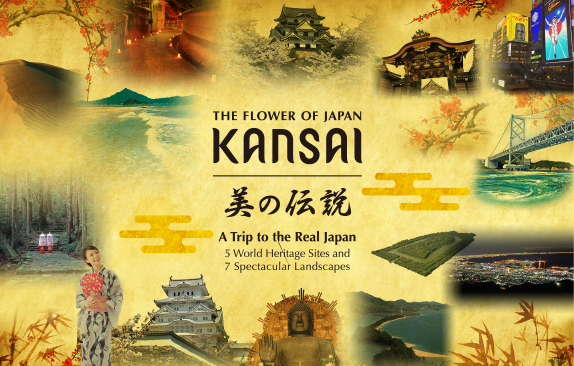 *Various discount services are available by presenting your KANSAI ONE PASS at the participating facilities and shops. 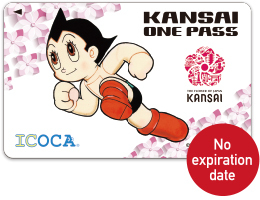 *Visit the KANSAI ONE PASS site (http://kansaionepass.com) for benefit details. 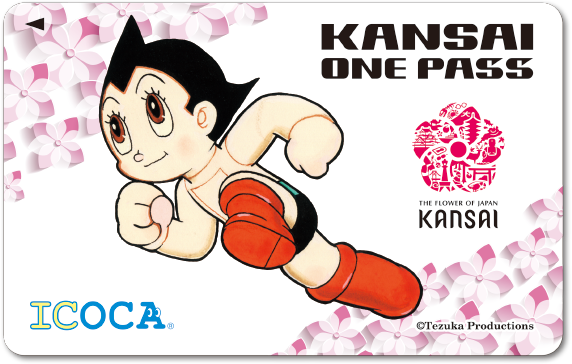 *If your KANSAI ONE PASS gets damaged, you will be issued a new card with the standard ICOCA design. 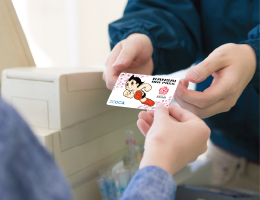 New cards are issued the day after you report the issue at the office of a JR West, Keihan, Kintetsu, Nankai, Osaka Metro, Kobe Municipal Transportation Bureau, or Kyoto Municipal Transportation Bureau station at the ICOCA counter. Please note that you cannot qualify for complimentary benefits with a reissued standard-design ICOCA card. *Please note that discount services may be terminated or modified without prior notice. *Above web image is temporary. *These photos are for illustrative purposes only. *Please answer after coming to Japan and exchange your coupon on your way home. *The coupon is valid only at the 5 KIX DUTY FREE shops and Duty Free Shop Les Cosme in the terminal 1 Bldg, and the KIX DUTY FREE shop as well as WATCHES in the terminal 2 Bldg (all inside the International Gates). *The information provided will be used for improvements for The KANSAI ONE PASS service. We will not use the information for any other purposes.